1. Open blinds and shutters during daylight hours to ensure maximum light and heat is entering the room. At night make sure these are closed to insulate the building and avoid heat escaping. 2. If possible, keep exterior/automatic doors shut to keep heat in. 3. Insulate any pipes to avoid them freezing. This will also help with keeping your water warm. 5. Repair any leaking taps to avoid excess costs. 6. 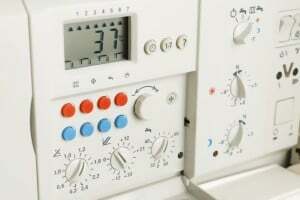 Check the timer on your heating so that the warming of your rooms matches their occupancy. temperature by just 1°C can cut fuel consumption by 8%. Fuel Card Services have partnered with Make It Cheaper Ltd to bring to you exclusive deals to help cut the cost of business energy, click here to find out more.